"A Panoramic View -2 " #139 is a gorgeous 1 Bedroom, all wood studio style honeymoon cabin. 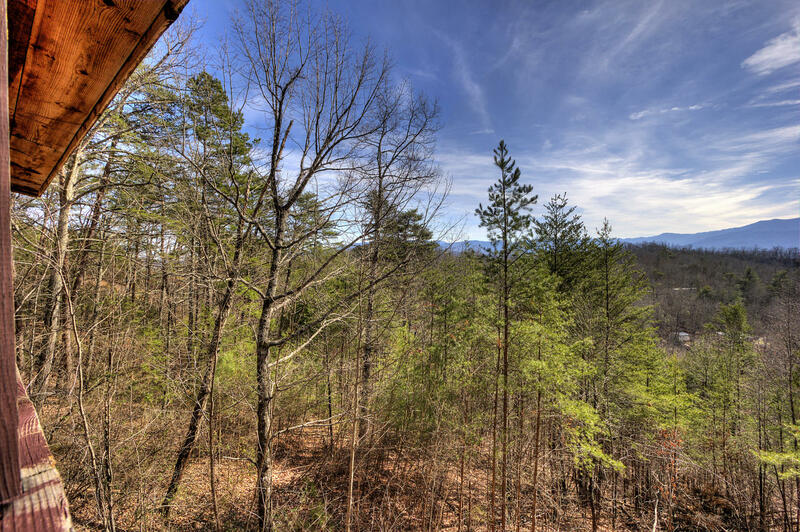 This cabin is not only semi private and surrounded by nature, it offers panoramic views of the Smoky Mountains year-round. 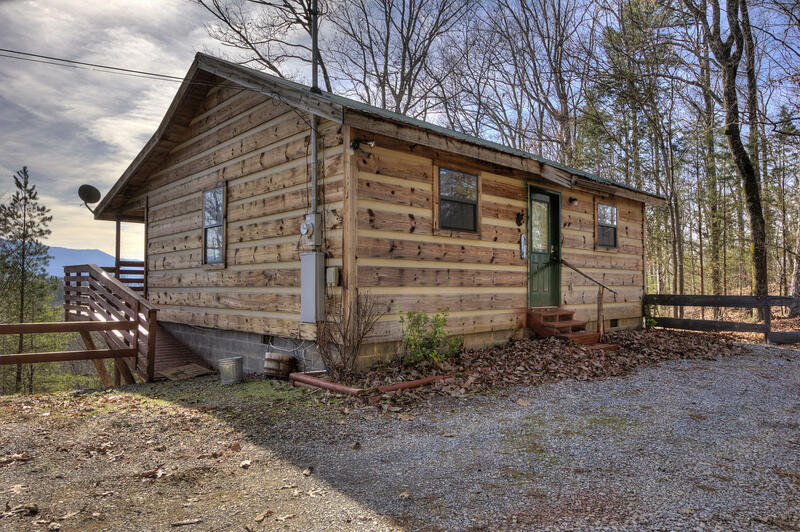 This beautifully decorated cabin offers all the amenities you could ask for in your very own Smoky Mountain home away from home. Located close to Dollywood & Splash Country, approximately 20 minutes from either Pigeon Forge or Gatlinburg. This cabin has paved roads all the way up to the gravel driveway. There is comfortable parking available for 1 vehicle. 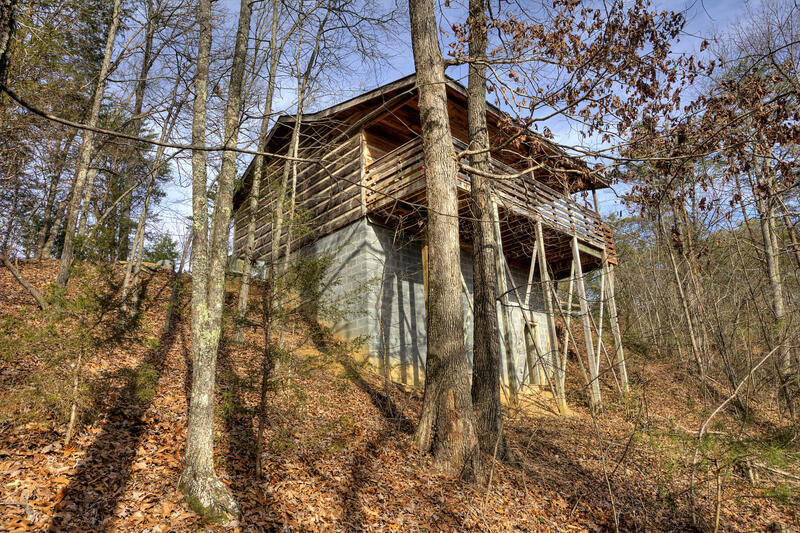 This 1 Bedroom,1 Bath cabin that sleeps up to 2 is 1 level. There are 3 steps to reach the main level. Here you will find a fully equipped kitchen with dining for 2, a living area with a couch, gas fireplace, and flat screen TV. There is also a King bed with a jacuzzi tub, and a private bath with a walk-in shower. The main level deck holds the relaxing hot tub, patio furniture, and offers both beautiful views surrounded by nature, and panoramic views of the mountains. 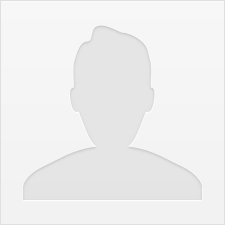 Don't miss out --- Call us today to book this beautiful 1-bedroom all wood cabin. Must be 21 years or older to rent this property. No Smoking or pets Please! Dollywood Ln. Take this road to the very end, approx. 6 miles, where you'll reach a stop sign. Turn left onto Birds Creek, then take your first immediate right, onto 416 S and travel 1.5 miles. Continue on Maples Branch Road 2.5 mi (7 min.) Turn Left onto Maples Branch Road. Turn left to stay on Maples Branch Rd. 1.9 mi Turn right onto Blackberry Way and look for 1875 Blackberry Way.